"Eugenie Grunewald made a strong Lyric debut in the opera. Her mezzo-soprano is rich, and her Frugola was a warm, lively character, whether playing the clown or dreaming about a little house in the country." 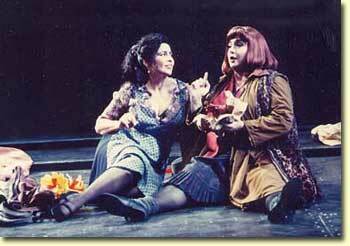 "the standout was Eugenie Grunewald's Frugola-a younger, fresher-voiced bag- lady than most."